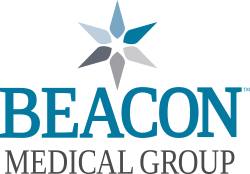 Beacon Medical Group Vein Specialists provides non-surgical treatments for spider and varicose veins that are safe, virtually painless and will have you back to your normal, daily activities sooner than you think. If you’ve been suffering from varicose veins, you’re not alone. Nearly 40 percent of women and 25 percent of men suffer from lower extremity venous insufficiency and varicose veins. Varicose veins are most commonly found in the legs and ankles because standing and walking increase pressure in the legs. Spider veins are similar to varicose veins, but smaller and found closer to the skin’s surface. They are usually red or blue in color and vary in size. Endovenous laser ablation eliminates unsightly varicose veins with minimal-to-no scarring, no lengthy recovery and minimal side effects. You can be free from bulging, twisted varicose veins and back to enjoying your everyday activities within a few hours. The EVLA procedure is safe, fast and effective.It uses targeted laser energy to seal the vein shut and help you look and feel better fast. Sclerotherapy is the injection of a medication to close the veins. For superficial veins the injections are treated using the visual appearance of the veins as a guide. For injections into larger or deeper veins, our physicians use ultrasound to accurately inject the veins. Both the medication and application of compression stockings cause the vein to harden over time and eventually be absorbed and fade away. It is a very safe and effective treatment for both varicose veins and spider veins. Our team of physicians and support staff are dedicated to helping you look and feel better. To learn more about our vein center or to arrange a consultation, call Beacon Medical Group Vein Specialists at 574.647.3990.